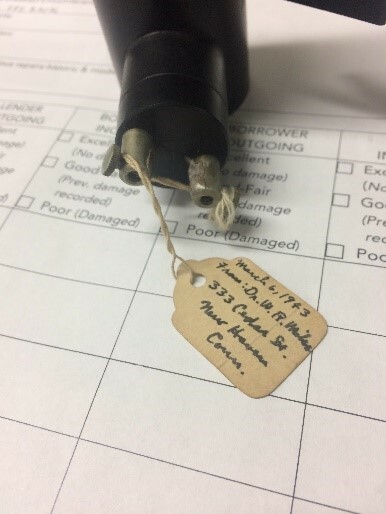 contributed by Rose Stull & Laura Loop, students in the Museums & Archives Certificate Program. 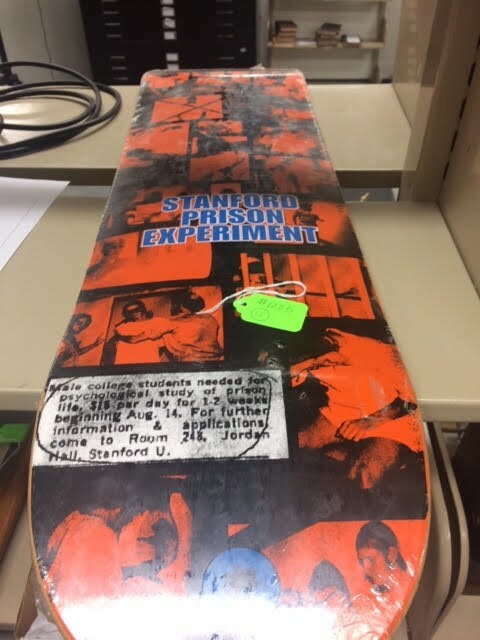 The students in Foundations of Museums and Archives II have been working hard all semester, and invite you to attend our exhibit: How Animal Subjects Shaped Psychology, which opens on May 9 from 2:30-4:30pm. 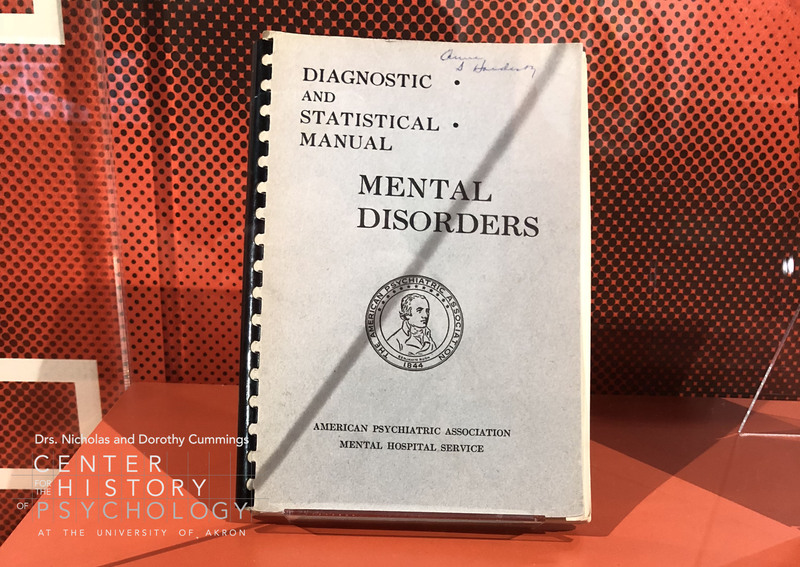 The Archives for the History of American Psychology houses many artifacts that were used in research with animal subjects. 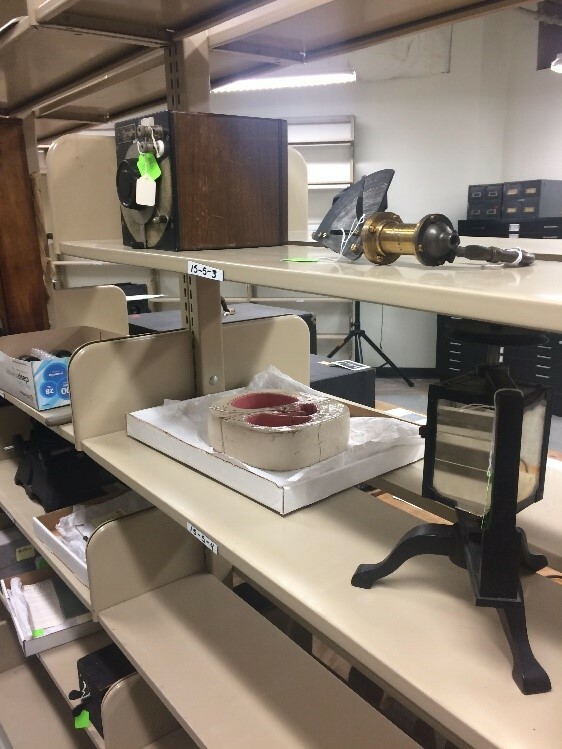 Some of the objects are part of larger collections with plenty of archival and primary source materials to help us identify them. However, others had very little information to begin with, and it was up to us to figure it out. The hardest part for some of the objects was just figuring out what it was. Are you able to figure out what these objects could be? What is this rack of droppers? We had a general idea what most of the objects were used for but we still needed more. What was the object used for? Who used it? What kind of research were they doing? What were the findings of their research? We started in the archives and found a lot of what we were looking for, then expanded our research elsewhere to fill in the gaps. Some of us learned about the history of experimental psychology for the first time. There are so many fabulous photographs. For example, Gilbert Gottlieb’s work with ducklings in his years of imprinting research has produced a multitude of amazing photographs (such as the photo shown above), which will be on display alongside many other archival materials regarding animal subjects. A great example of this was the Animal Behavior Enterprises and their IQ Zoo. 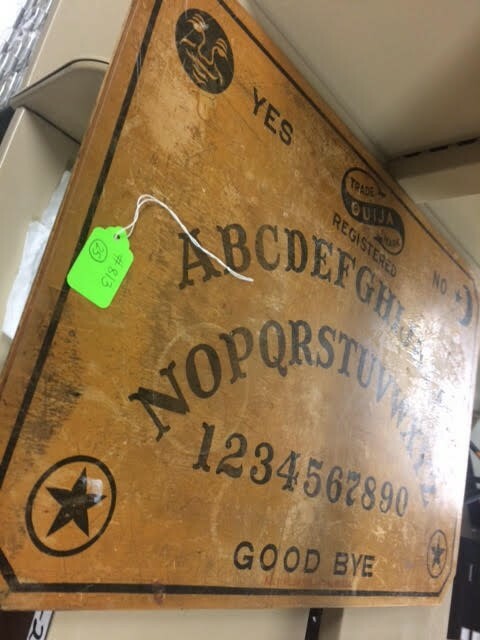 To learn more about this interesting tourist attraction and to see if you correctly identified these objects, the exhibit will be open through summer 2019. Working alongside our classmates with the wonderful staff at the Cummings Center for the History of Psychology has given us opportunity for hands-on experience that will give us better advantage in our respective fields of study at The University of Akron, and after graduation when we’re job hunting. 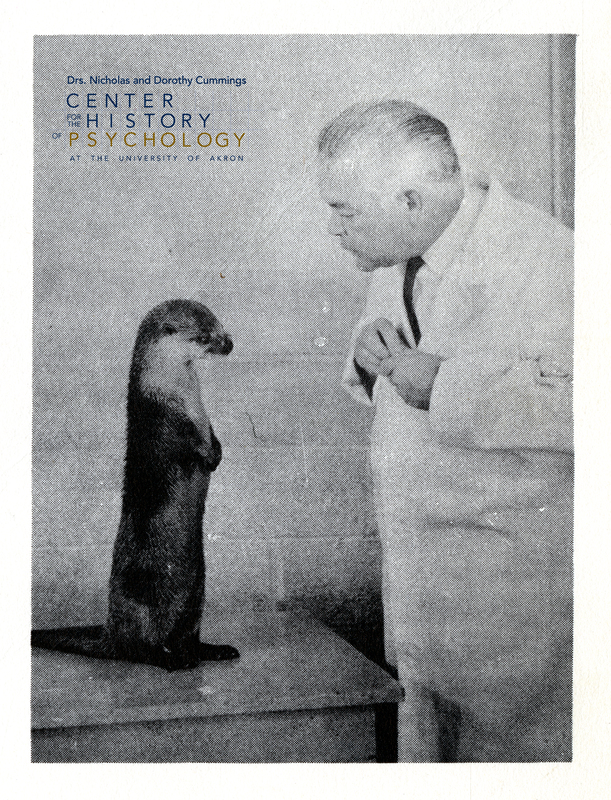 We are proud to invite everybody to join us for the opening of How Animal Subjects Shaped Psychology. Free admission for the opening event. *Regular admission fees for the National Museum of Psychology during opening. 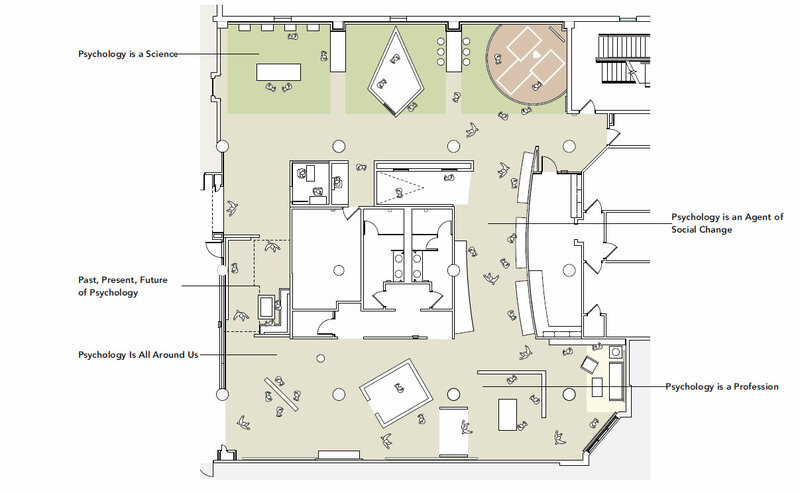 This project fulfills the requirements for students in 1900:302 Foundations of Museums and Archives II at the Institute for Human Science and Culture. Contact Dr. Jodi Kearns jkearns@uakron.edu for information about the program. – contributed by Kate Gray. Kate describes the process of designing, researching, and installing an exhibition to fulfill course requirement for 1900:302 Foundations in Museums & Archives II. The concept of time has baffled the greatest minds in human history, while timekeeping devices originally left the students of Museums and Archives II equally bewildered. When beginning work on this exhibition, we were each given about seven or eight time pieces from the Cummings Center’s collections. The artifacts varied greatly in the background information already provided on them. Some of us had a manufacturer, date, and specific classification of the instrument. Others received pieces simply classified as “timers.” At times, this made research very difficult. However, all of us were up to the challenge. We began by combing over the Cummings Center’s archives for any information on the pieces, manufacturers, or individuals who created them. Once we compiled that material, we then moved on to outside databases to supplement our findings. 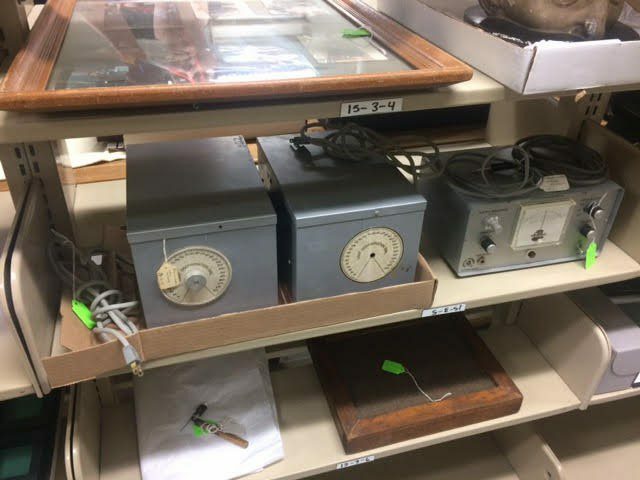 Our main goals were to track down what psychological experiments these time pieces were used in and who used them. 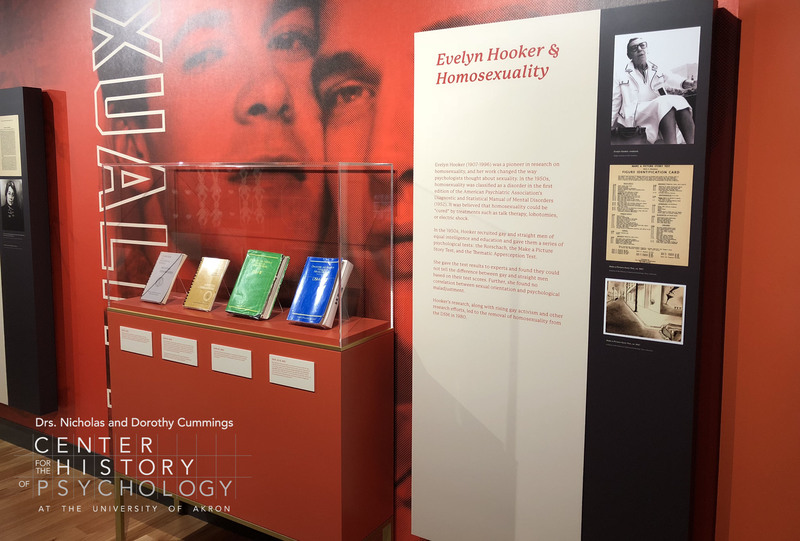 When visiting the exhibit, you will learn about the time pieces themselves, the individuals who created them, and the psychologists who use them in their work. After discovering the desired information, we then moved on to planning how to display the time pieces and data. We debated artifact groupings, the objects’ placements, exhibit colors, and which display cases to use. As I write this blog, we are on the homestretch for this exhibit. We have already begun the to install the exhibition, finalize the displays, and have confirmed our color scheme. Through this experience, we learned about the immense planning that goes into creating a museum exhibit. Everything from the font size to the display case choice impacts the success of the exhibition. This project led us on a challenging yet rewarding journey through time. After the opening reception, the exhibit will be open during regular hours of the National Museum of Psychology beginning June 28. This temporary exhibit will be open June 28 through September 2018. Program info: This project fulfills the requirements for students in 1900:302, Foundations of Museums and Archives II at the Institute for Human Science and Culture. Contact Dr. Jodi Kearns jkearns@uakron.edu for information about the Museums and Archives certificate program. What on Earth is in a Museum of Psychology, Anyway? Humor me, here, with a little Thursday quiz: what do a Nobel Prize, Wonder Woman, and hand guns all have in common? If you guessed “psychology,” you win! Alas, I probably should have tried harder not to give away the answer in the blog title. Another thing they have in common: they will be featured in the exhibits at the National Museum of Psychology, opening in Akron in 2018! 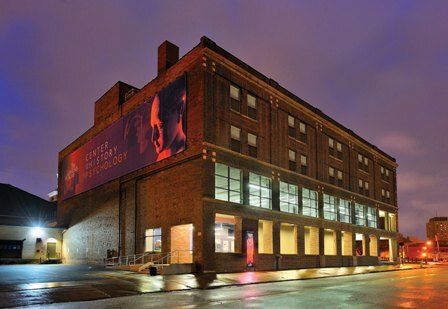 The new National Museum of Psychology will take up the entire first floor of the Cummings Center for the History of Psychology. The Museum is almost fully designed. We will soon begin fabrication of exhibits! I’m super excited about this museum. But, when I tell my friends and family about it, they all give me this same puzzled look: what on earth is in a psychology museum?? They generally seem to think that the idea of such a museum is strange, that the history of psychology is not very interesting, or that they won’t really understand the stories inside such a museum. Here’s the thing, though: psychology is EVERYWHERE. The achievement and intelligence tests you took in college, the way you discipline your children, the design of your cell phone keypad, the things your dog learns at obedience class. Yup, psychological ideas, research, and practice went into all of those things. 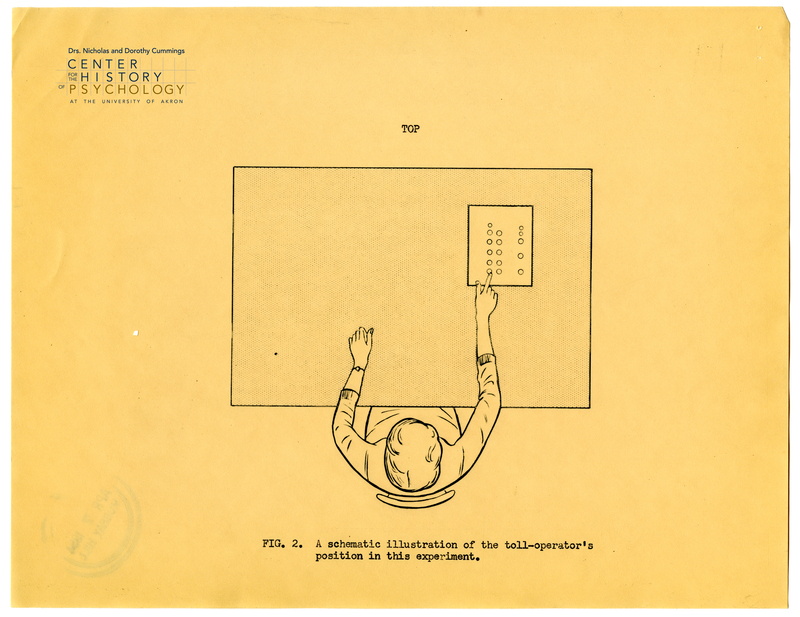 In the 1950s, psychologist Alphonse Chapanis researched telephone keypads used by telephone operators. Operators made the least errors entering numbers when numbers on the keypad were arranged in a 3 by 3 display. This finding influenced the design of the telephone keypads we use today. 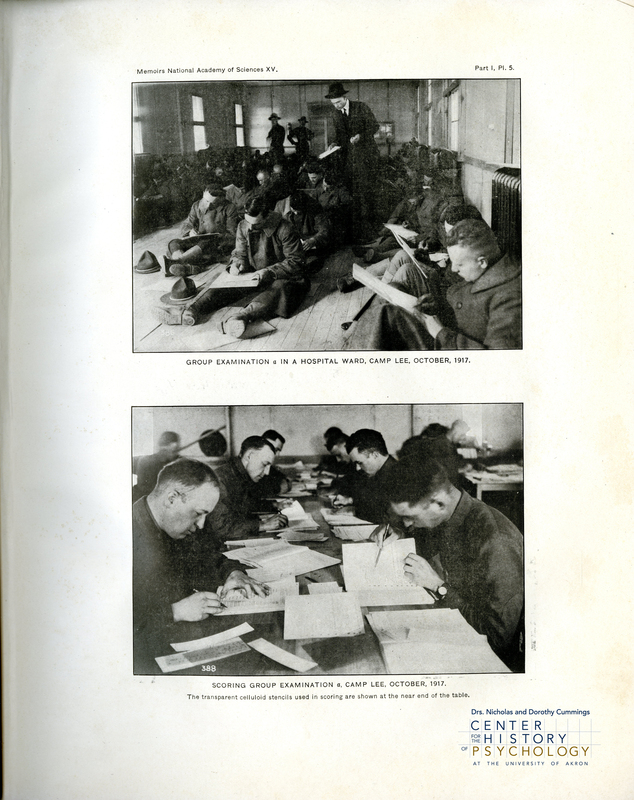 Group testing of intelligence took off in the United States after World War I, when “psychological examiners” created and administered intelligence tests to more than 1 million recruits. Psychologists Keller Breland and Marian Breland Bailey and biologist Robert Bailey used psychological principles of learning and behavior to train animals in the 1950s. Their work is still used in animal training today. But psychology’s history goes beyond cell phones and dog tricks; it is fully embedded in our social worlds and our identities. Psychological research was part of the landmark Supreme Court decision that ended legal racial segregation in the US in 1954. It was a producer and product of women’s equality as early as the 1900s. 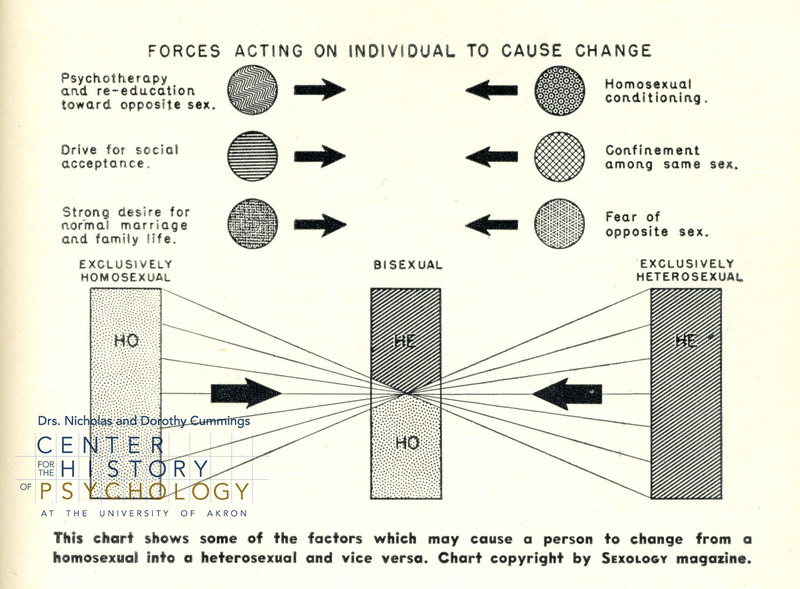 And psychological research helped to change perceptions of homosexuality in the 1970s. For more than a century, psychologists have been exploring the human experience and their work has ultimately changed our lived experiences. 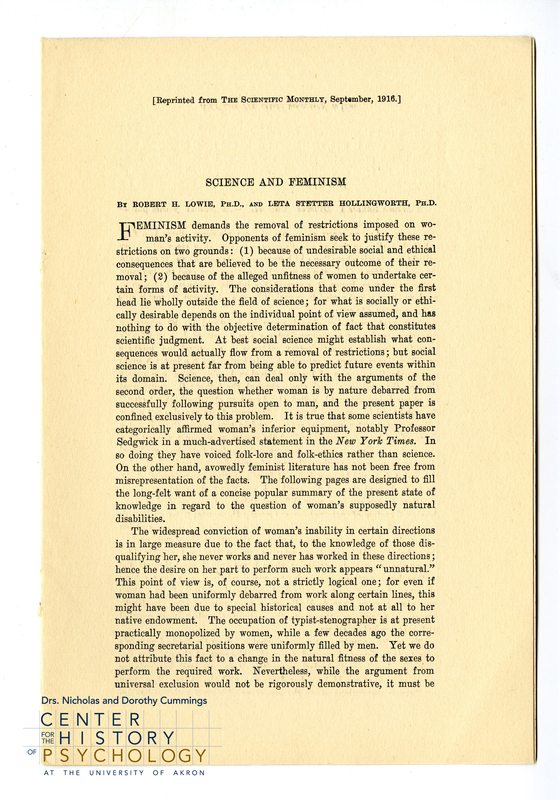 Psychologist and feminist Leta Hollingworth published research that supported women’s equality in the early 1900s. 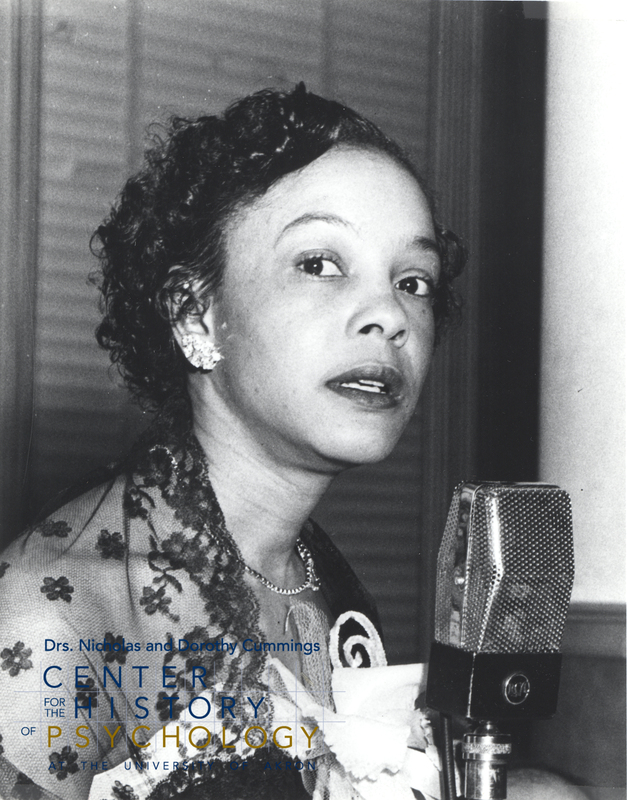 Psychologist Mamie Phipps Clark testifying in the Brown v. Board of Education case that made racial segregation in schools unconstitutional. The National Museum of Psychology tells this story. It tells the story of psychology’s history, which is essentially a story of all these ideas and practices—both big and small—that have shaped and continue to shape our everyday lives. You engage with psychology everywhere, every day, often without realizing it. So, when my friends and family ask me, “what on earth is in a psychology museum?” I tell them all of this. They are patient people! 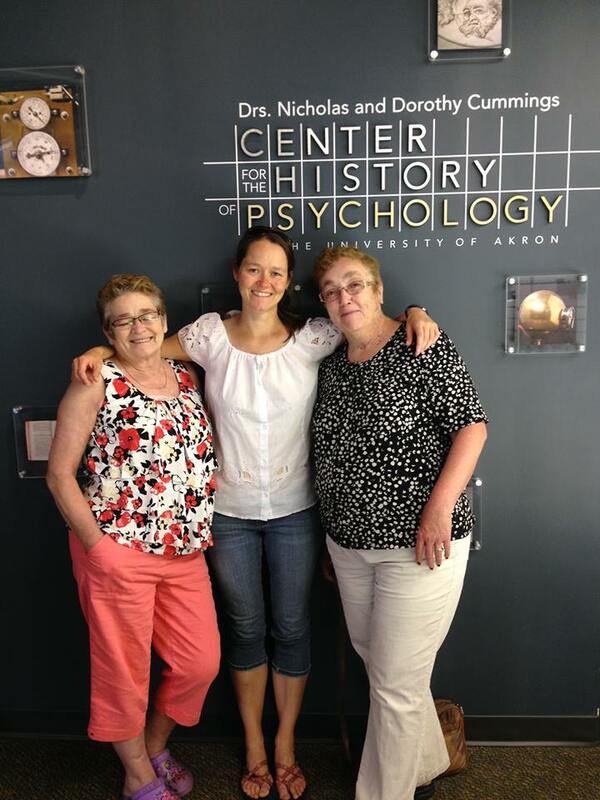 My mom and my aunt, visiting me at work to finally figure out what on earth is in a psychology museum. So, a follow-up quiz. How are the Nobel Prize, Wonder Woman, and hand guns all linked to psychology? Some of you with a penchant for history may already know. If so, share your knowledge in the comments! As for the rest of you, you’ll just have to visit the National Museum of Psychology to find out! Stay tuned to our facebook page to find out when we’ll be ready to open the doors.